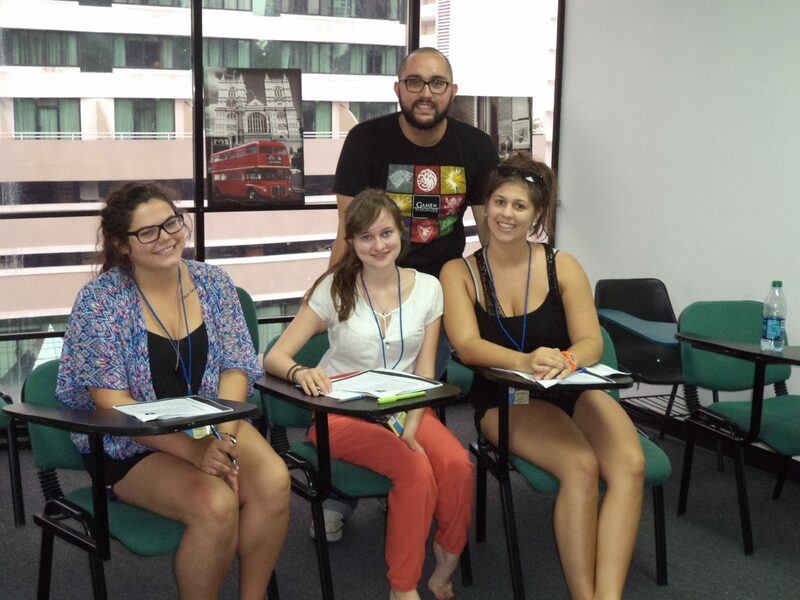 In addition to our excellent location, our facilities themselves are unmatched by any language school in the region. 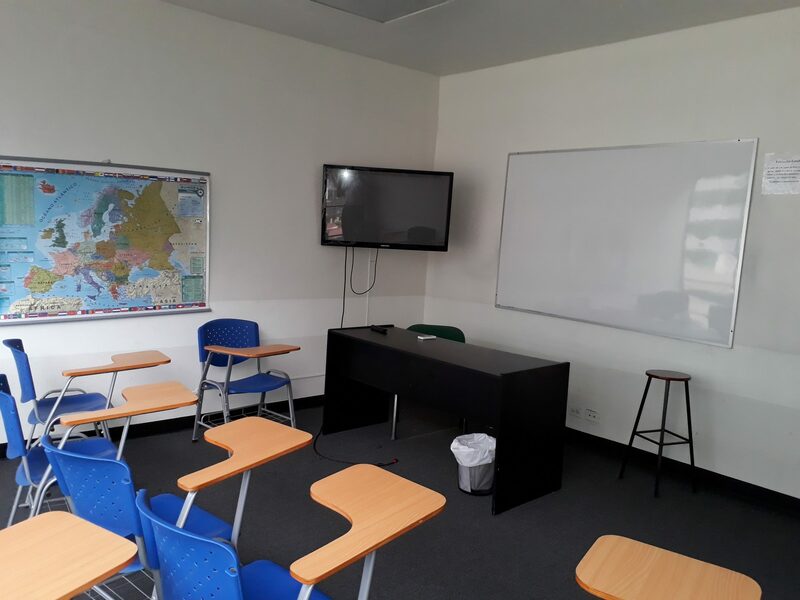 Unlike most schools, nearly all of our classrooms are purpose-built, providing optimum conditions for a language school. 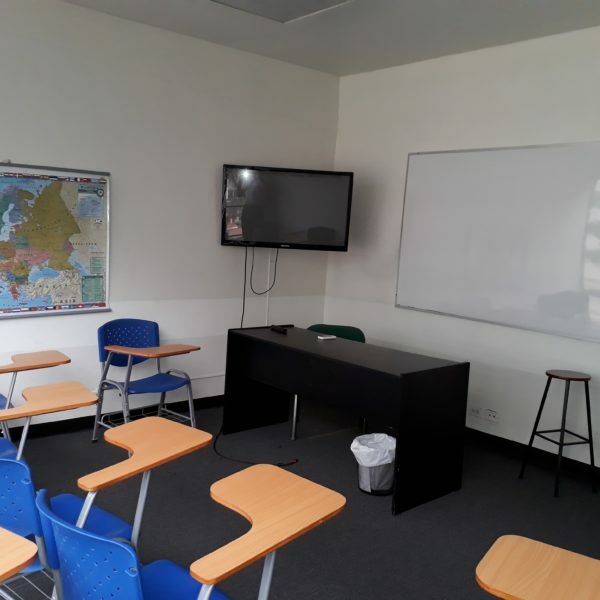 Our classrooms have an abundance of natural light, are well-ventilated and comfortably furnished. 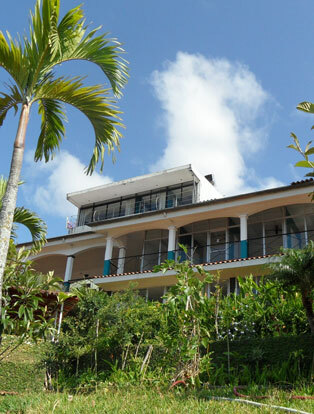 An ample garden and terrrace, both with great views, create surroundings where you can relax both during classes and after, to chat with other students, read the newspaper or do homework. Since many schools operate from converted homes, you can’t always take such amenities for granted. Our main building features spacious, comfortable classrooms with ample natural light and ventilation, offices, and a terrace restaurant. 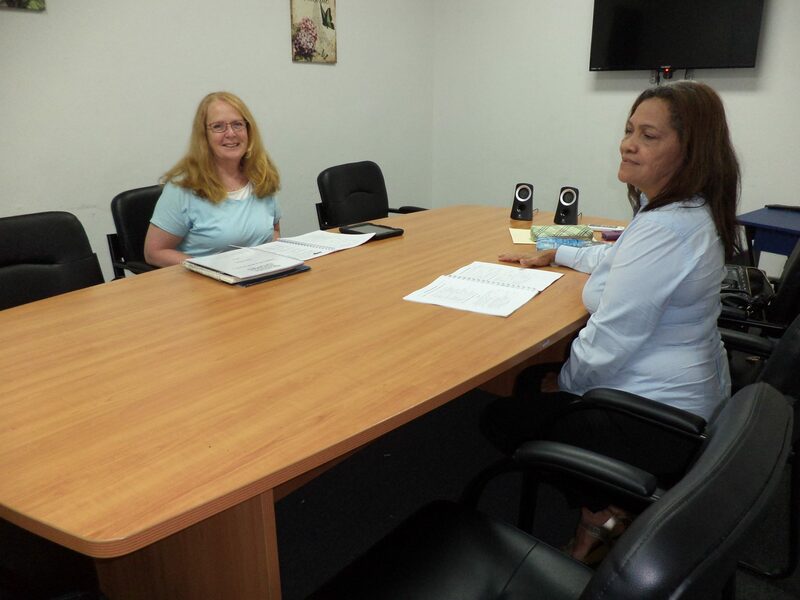 Our entrance contains the reception desk, administrative offices, a teacher’s planning area and a large lobby with a skylight. The second floor houses classrooms and a meeting room for teachers. The top floor houses two additional classrooms and the director’s office. Students studying on the top level enjoy the views and can work off their calories they consume during coffee hour as they climb back up the stairs for the second half of class. We have put excellent insulation in the roof to keep these classrooms cool and comfortable. Finally, on the lowest level, we find the entrance to the existing terrace. It’s accessible both from inside the building as well as from the street. 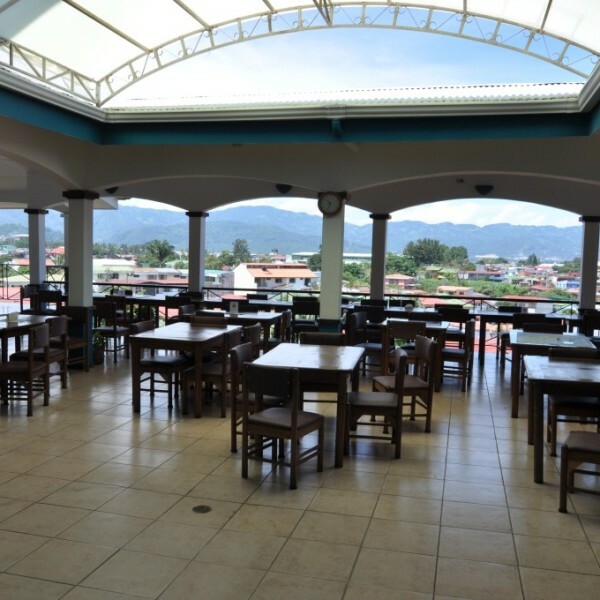 It features a small restaurant for our students. With over a 100 square meters (1,000 sq. ft.) of terrace we have ample space for gatherings before, between and after classes. The terrace has become the heart of ILISA’s social and cultural life. 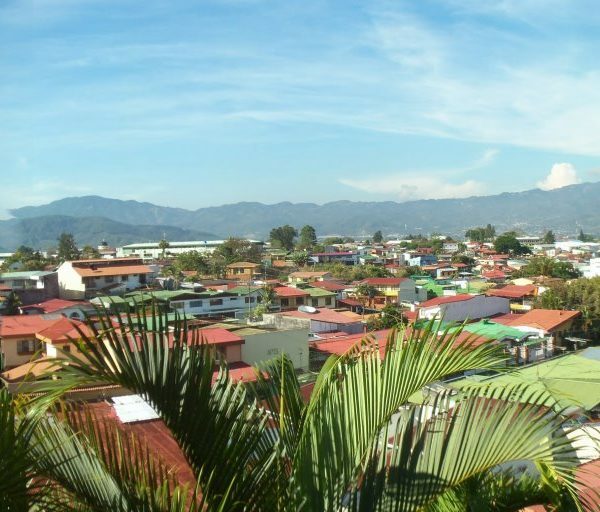 After all, you can’t beat studying or chatting with other students when you have a beautiful mountain view and a freshly brewed cup of Costa Rican java. In addition to ILISA’s main building, ILISA has two additional classroom buildings housing a total of 14 classrooms. 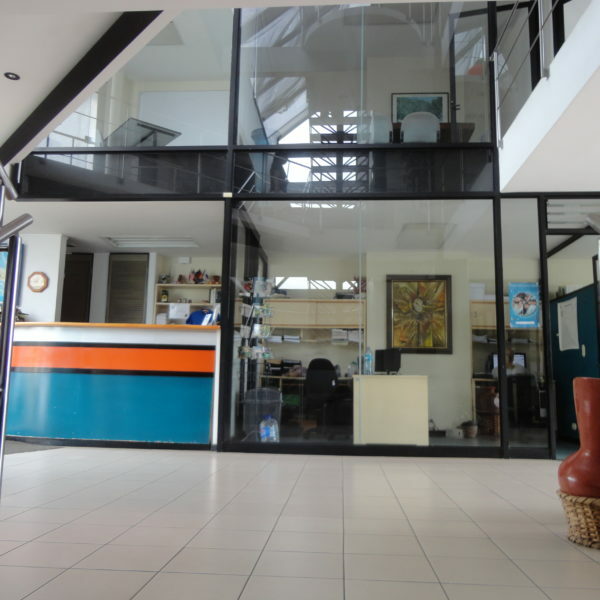 Like those in our main building, are light, spacious and airy. Students also enjoy ILISA’s 5 all-weather outdoor classrooms located in our beautiful gardens. As is true of all our facilities, classrooms feature lots of natural light. 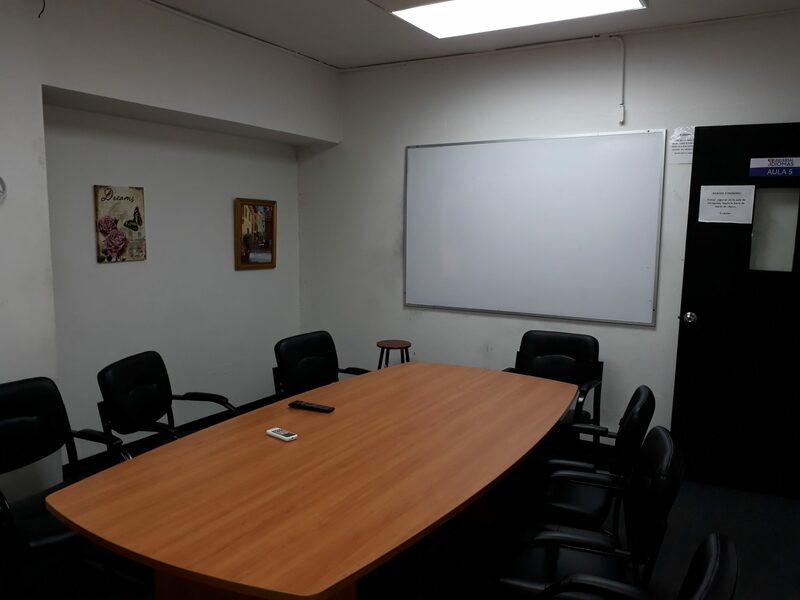 The conference room can comfortably accommodate up to 25 people with semi-circular seating or 50 with auditorium-style seating. 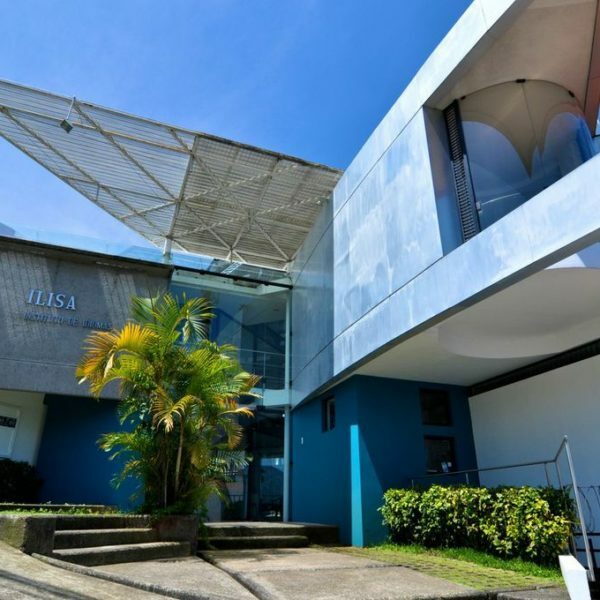 Facilities will be used for ILISA’s cultural activities program, teacher-training workshops and for special group programs which ILISA hosts throughout the year. 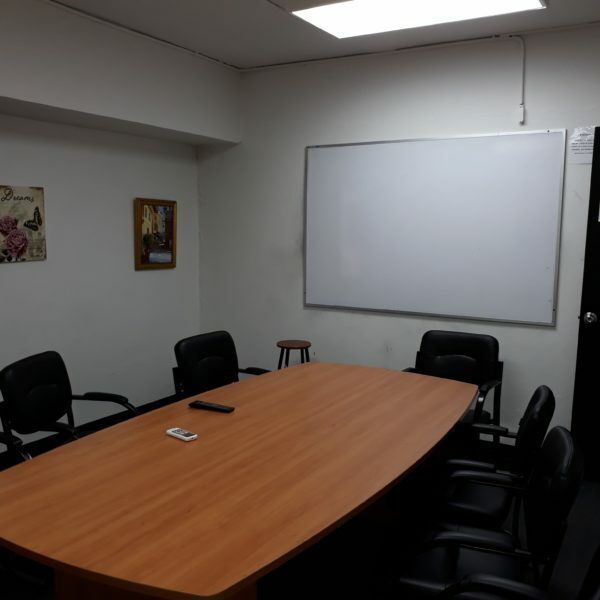 In addition, we will make facilities available for use by other organizations. 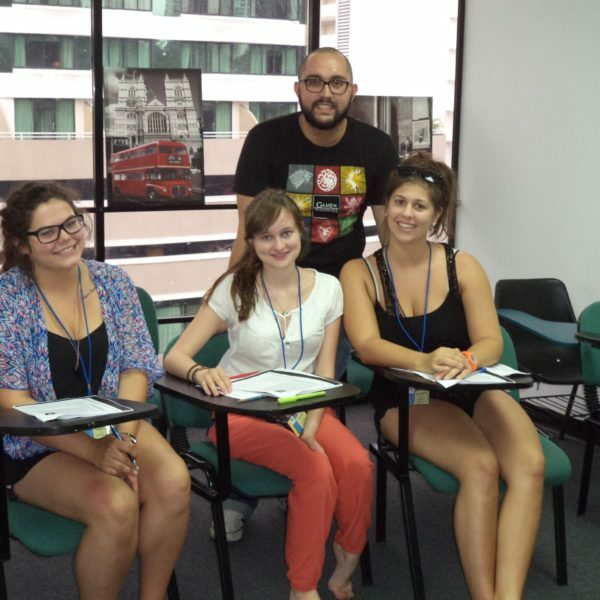 Our combination of a comfortable study environment and a convenient location offers you the ideal circumstances for serious yet enjoyable language study. 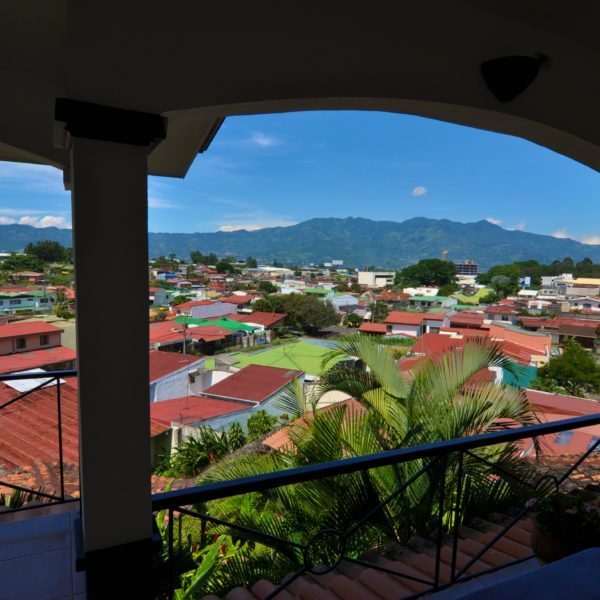 The neighborhood of El Cangrejo is a privileged location of ILISA Panama, only one block away from the subway stop of Iglesia del Carmen and minutes away from main attractions such as Casco Viejo and Cinta Costera. 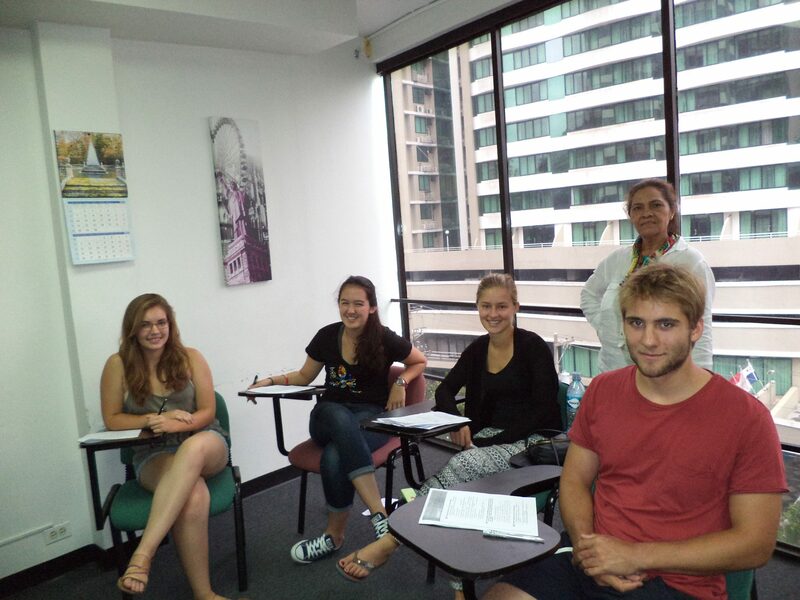 In the forth floor of Centrum tower with 8 spacious and well equipped classrooms, ILISA offer students the possibility to enjoy a great environment in our social areas or the cafeteria, meeting not only foreigners but many Panamanians who learn English or Portuguese with us.